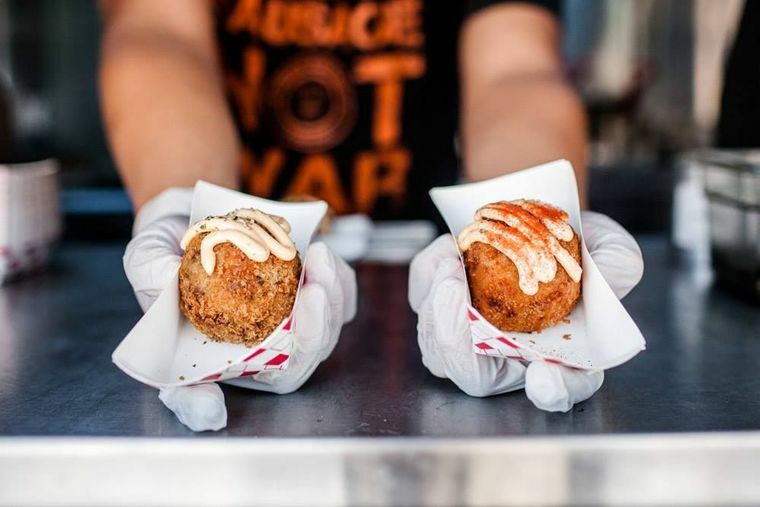 In honor of National Rice Ball Day (yes, this does exist), we found four food trucks that are serving up some of the yummiest versions of these bite-sized, rice-filled, flavor-packed balls of goodness. Enjoyed as either the main course or a delicious appetizer, these are rice balls you need to run out and try right now (forks optional). 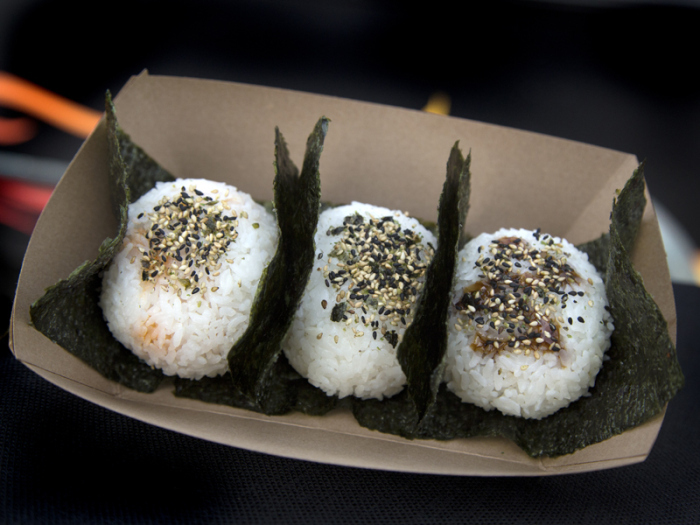 A truck dedicated to serving delectable rice balls, this Los Angeles-based truck is a must try if you’re looking for their tasty take on sushi classics. 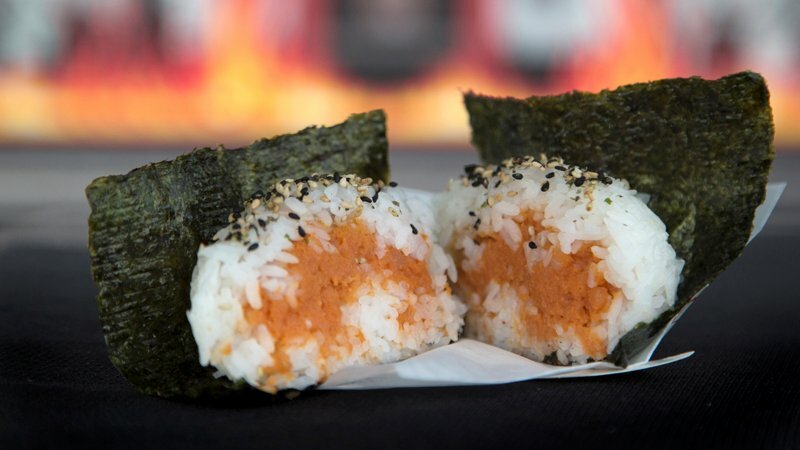 Order the tuna and spicy mayo ball wrapped in steamed white rice and seaweed paper for a savory snack or choose from one of the other filling options that include bulgogi, pork belly, and BBQ chicken. 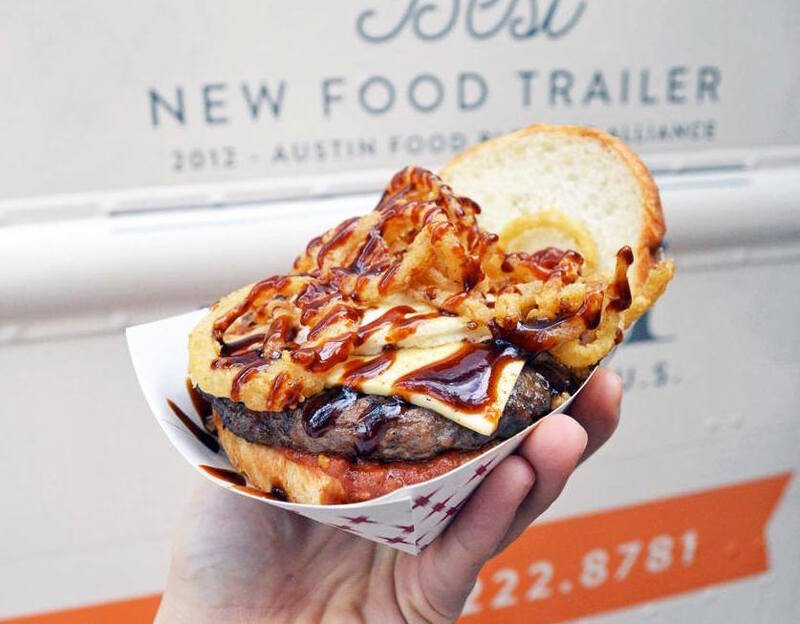 Rice Balls of Fire also has a full menu of sushi burritos, Korean sliders, and tacos so stop by this truck if you’re looking for some killer Korean fusion. 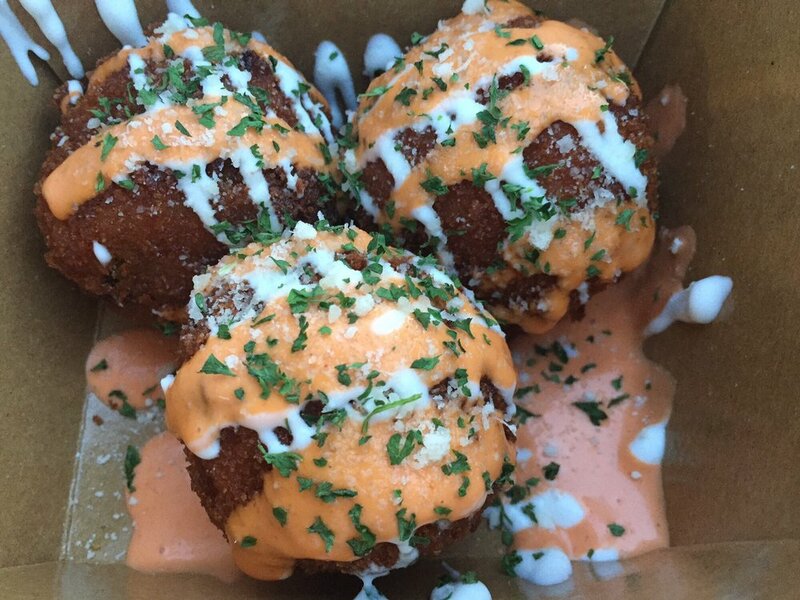 Inspired by their Sicilian grandmother’s homemade arancini (risotto rolled into balls and then fried), owners Danielle and Chris Dall’au of Have A Ball food truck are bringing these tasty morsels to the streets of Fairfield. 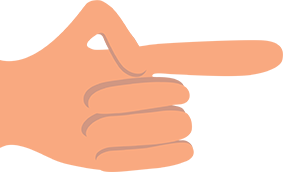 The ever changing menu of new rice ball creations will keep you coming back to Have A Ball, especially after you try the Original Italian Rice Ball. 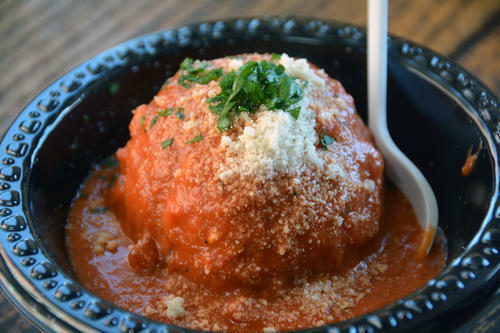 Prepared just like Grandma made it, this fresh mozzarella, pecorino, and parmesan risotto ball is generously topped with a century-old three meat sauce recipe and shaved parmesan cheese. 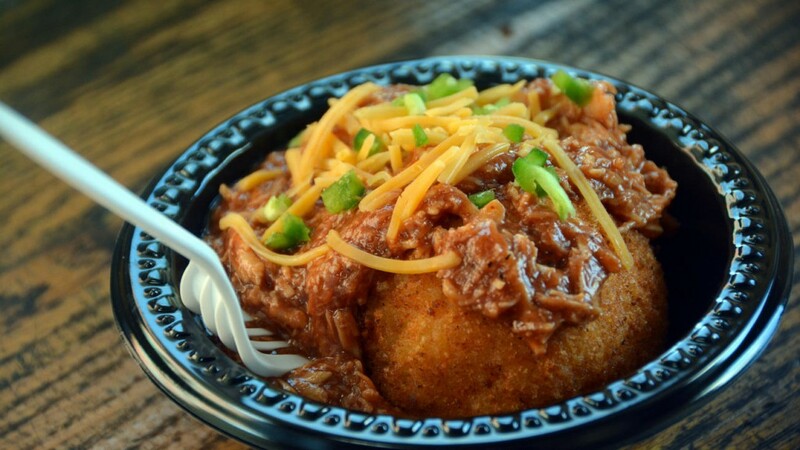 The BBQ Chicken Ball, another one of the truck’s best sellers, is sure to satisfy your taste buds with its buttery white rice center, sharp cheddar cheese and pulled BBQ chicken topping. Kokio Republic in San Francisco is slinging rice balls to the residents of the Bay Area with tofu and kimchi options. The always popular Kimchi Ball, topped with a creamy sriracha sauce, sour cream, parsley, parmesan and filled with bacon, kimchi fried rice, and sautéed onions and goes perfectly with the Korean Fried Chicken that Kokio Republic specializes in. The vegan Tofu Ball is another delectable offering, as the tofu fried balls are packed with shiitake mushrooms, bell peppers, roasted flax seeds, then topped with a soy garlic sauce, veggie mayo, and parsley making the perfect meatless meal. 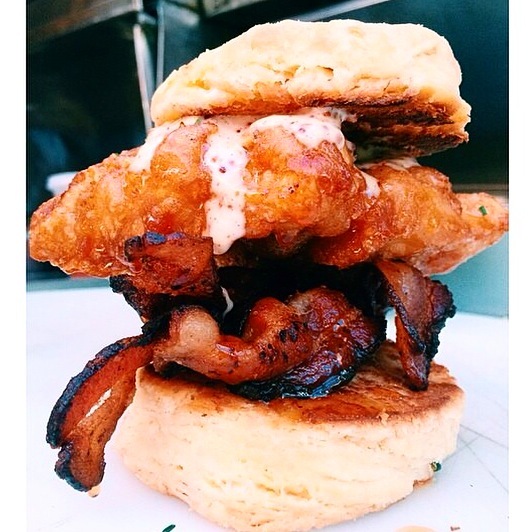 Winners of The Great Food Truck Race Season 3, Seoul Sausage Company has made waves with their incredible Korean-American fusion menu. With three different kinds of rice balls – all equally amazing – you can’t go wrong when getting your rice ball fix here. 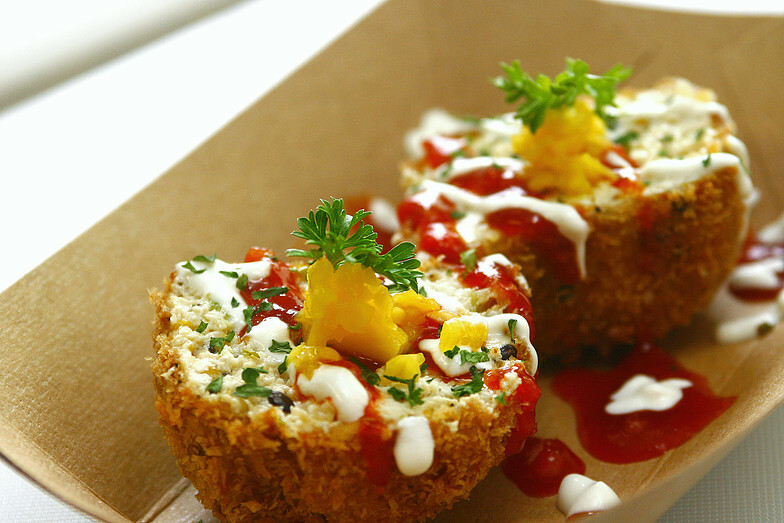 The Flaming Ball is the most well known, a mouth-watering mix of kimchi fried rice, cheese, and spicy pork. Not to be outdone by the Flaming Ball is the Lil’ Osaka, curry rice with beef and potatoes, a dish that should definitely be on your radar when eating at Seoul Sausage. Fans of Spam will want to chow down on the Spam Ball, teriyaki rice with spam, corn, pineapple, and macaroni that is bursting with sweet and savory flavors. Each one of these rice balls are so good, you’ll be wondering why you haven’t eaten them sooner. 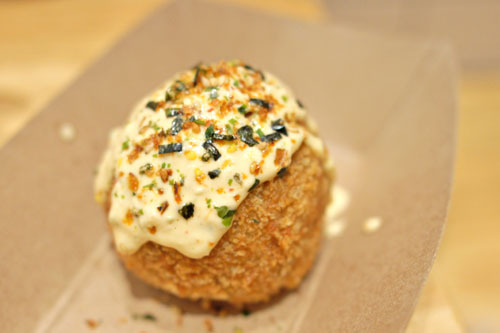 Go out, have a ball and enjoy National Rice Ball Day!